Several countries have issued health warnings as this week's record-breaking weather conditions continue to affect swathes of the continent. Sweltering temperatures in Italy have sparked wildfires, and dozens of towns and cities are on the health ministry's maximum heat alert. The heatwave has left some regions facing the threat of severe drought. 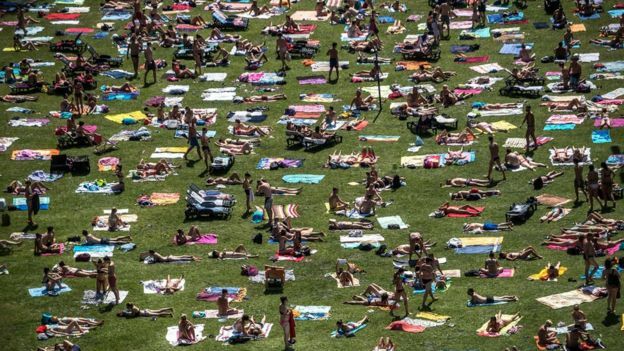 Health warnings are in place in the parts of Europe where temperatures have reached potentially dangerous levels. Italy and the Balkans are the most severely affected, with areas as far north as southern Poland also exposed to unusually high temperatures. At least two people have died - one in Romania and one in Poland - and dozens more have been taken to hospital suffering from conditions related to the extreme weather, Reuters news agency reports. Italy is currently experiencing temperatures 10C higher than the average for this time of year. People have been urged to follow advice from the authorities, stay indoors and drink plenty of water. On Wednesday, the mercury rose to 44C in Sardinia. On Thursday, temperatures hit 43C near Rome while Sicily recorded 42C as a blanket of hot air from Africa swept through the Mediterranean. In Albania, the country's armed forces joined hundreds of firefighters on Friday to battle dozens of forest fires as temperatures reached 40C. 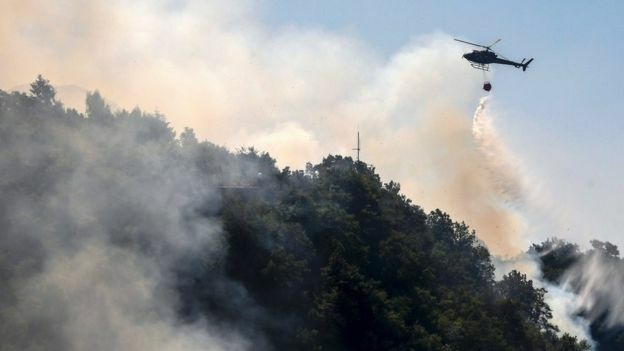 Albania has asked the European Union for emergency assistance to help prevent the wildfires spreading near the capital, Tirana. 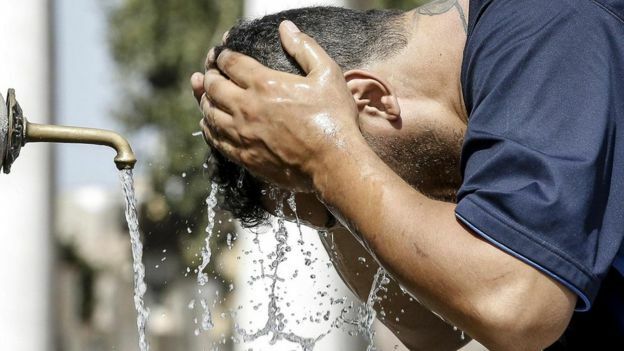 Tourists and locals have been cooling off in cities across southern Europe by dousing themselves in water from public fountains and walking the streets under the shade of parasols. High temperatures are expected to continue in parts of central Europe and the Balkans in the coming days, according to European weather service Meteoalarm. The heatwave is expected to last until at least Monday, with health warnings issued in several European cities. “Lucifer” has just broke that record to pieces… First time I ever heard of a heat wave named… Times they are a changing… Whats the next one going to be called? Are we going to go in Alphabetical order like tropical storms?